Yikes, another oud! But look at what Annick Goutal does with it. Instead of a tangy, metallic, overwhelming oud, 1001 Ouds wears like a cashmere sweater. It’s actually ladylike. 1001 Ouds' notes include rose, papyrus, myrrh, oud, gaiac wood, birch and a hint of pepper. I understand that perfume houses need to market oud to appeal to the Middle Eastern market. I understand that oud might be a fun material to work with. But until I sampled 1001 Ouds, I was tired of its muscular, boring presentation. (Hey, it rhymes with “rude” for a reason, right?) With 1001 Ouds, Annick Goutal gives the note elegance I haven’t smelled before. 1001 Ouds is linear, soft and ambered, and what you smell after five minutes on skin is close to what you smell three hours later. 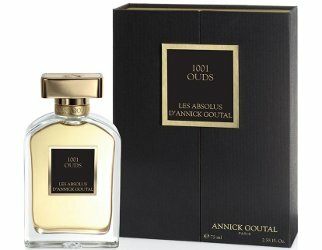 Annick Goutal 1001 Ouds is part of the Les Absolus collection, which officially launches in October. It was developed by perfumer Isabelle Doyen, and can be found now at Harrods, in 75 ml Eau de Parfum for £166. With Arquiste's upcoming Nanban, perfumer Rodrigo Flores-Roux created a cozy blanket of earthy-yet-delicious leather that packs in all the notes that to me symbolize fall. Those notes include Malabar pepper, Persian saffron, black tea, osmanthus, coffee absolute, Spanish leather, myrrh, frankincense, styrax, sandalwood, copaiba balsam and cedar. Nanban is smoky, leathery, sweet, woody and spicy. It’s a big, enveloping fragrance, but it’s also as soft as a kitten’s belly. A wisp of cumin — or could it be the cedar? — keeps Nanban interesting, but to me its chief allure is how easy and welcoming it is. You don’t have to have a “mood” to want to wear Nanban. All you have to want is warmth and deliciousness. This is the kind of perfume a girl needs when she’s cranky. Arquiste Nanban is due to launch in September, and will be available in 55 ml Eau de Parfum. "The memory is but fleeting, it refuses to remain in my conscience. Like a timid furry creature, it retracts at a caress. It is a fear that stifles the hero.” What does this mean? I’ll leave greater minds to suss out Uncle Serge’s description of Renard Constrictor, and I’ll get busy with its name. When I hear “Renard Constrictor,” I see a fox fur stole squeezing the shoulders of its elegant wearer. Imagine it: a woman wears an expensive floral perfume, but her fragrance is slowly overtaken by the warm fur of her fox stole. And that’s how it smells. At Renard Constrictor’s heart is a grand floral perfume replete with roses, jasmine, fruity tuberose, and barely tinged with woods. But instead of being crisp and cold, a furry, leathery warmth muffles the fragrance, so it seems to be smelled from somewhere faraway — from a sepia-toned photograph, or from a portrait painted in the 1930s. As the fragrance wears, the warmth builds, and its green and floral notes peel away to reveal its warm woody base. Unfortunately, Renard Constrictor only lasts a few hours on my skin. They’re glorious hours, though. Serge Lutens Renard Constrictor is part of the Section d'Or collection, and is available in 50 ml Extrait de Parfum. What about you? Are there any new fragrances you’re looking forward to wearing this fall? These sound great- all I need is a cool breeze and I’m set. The AG sounds particularly appealing. I was happily surprised by the Goutal oud. I hear “oud” these days and break into a cold sweat. Plus, the packaging on this one is really nice. Oooh. How prominent is the coffee note in Nanban, Angela? I loooove a coffee note. I’ve never seen a Montgomery Ward catalogue, but I played the same game with Seventeen Magazine. In fact, I remember the exact issue that the powder blue Bourjous eyeshadow I wore to my bat mitzvah can be blamed on. I love the Bourgois blue eyeshadow story! (And I’m super impressed that Robin came up with a catalog spread to head this post.) I always yearned to find the true fashion “me,” though and must have taken scores of those quizzes meant to tell you if you’re “classic” or “sporty” or whatever. The coffee note isn’t super prominent–I don’t think anyone would say, “Wow, this smells like coffee”–but it’s there warming and thickening the scent. Oh, God, thanks for the memory-jog, Ari. White lipstick at my eighth grade graduation! I do gratefully credit my teen years discovery of fashion magazines, and later all periodicals, for expanding my awareness of social and political issues, so all was not lost. And hey, blue eyeshadow is back in fashion. White lipstick! I wonder if that will ever come back? Black lipstick did. Sick of oud as I am becoming, the Goutal does sound worth a try and Doyen is an excellent perfumer. I have tried the Renard Constictor and found it to be lovely, the price and short duration left me cold. How can a perfume be so short lived? As for the fall I am looking forward to wearing a new bottle of Korrigan. Love the story of Korrigan and the fragrance is just warm enough for fall. I also plan to get a lot more wear out of Harmattan by Roads. Both are less feminine than what usually attracts me, but change is good, at least sometimes. I was disappointed at Renard Constrictor’s short life, too. I wore it again today, and it pooped out sooner than I would have liked. I haven’t tried Korrigan or Harmattan. Thanks for suggesting two new ones! Yes to the Goutal for me too! And the myrrh makes me happy as I love her Myrrhe Ardente. I usually like the Lutens fragrances but never enough to actually buy them. I know, I’m a heathen! Great reviews – and I take it you don’t mean Paris, Ky., right? I’m very envious! Enjoy! Is there a Paris, Kentucky? I know there’s one in Texas. I’d happily stay there if it meant I could have peace and quiet and long walks and time to write. I feel like the Goutal oud follows the same rules as her Myrrh. It’s essentially a soliflore, but one made with a subtle combination of other materials that somehow makes the oud more itself and better at the same time. There is a Paris, Ky. with several very beautiful horse farms, including the famous Claiborne Farm, former home of Secretariat. There is also a Versailles (pronounced ver-sales), an Athens (also unfortunately pronounced with a long ‘a’), and a London, among others. And you’ve further convinced me of the Goutal! I’ll wait a long time to be impressed by an oud fragrance enough to want to buy it. That being said, I hope that Goutal is as interesting as you say. The Nanban sounds most sniff worthy to me! I love all those balsams, myrrh, sandalwood, etc, and who doesn’t like a kitten’s belly? The Goutal oud is worth a try if you pass by a bottle. Nanban isn’t wildly original, but it’s lovely for what it is: a soft, full, warm fragrance. Great article Angela! 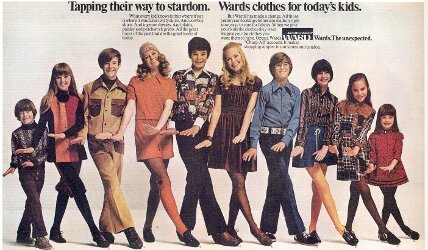 I love the 70’s and that picture brought back memories of my wardrobe as a kid. The Arquiste should be on the market next month. Boy, those pockets on the jacket of the boy to the left are gi- normous! Gotta love the fashion back then. I know–there’s something almost chic about it! Angela, your opening reminds me of your Charlie review: “It smells like this plus June bugs raining down on the Kmart parking lot in August…” Evocative prose and I can relate to some of the nostalgia. I wish I had been able to take a sample of the Goutal 1001 Ouds away from the NYC boutique with me after I sniffed it a couple weeks back. It definitely seemed like a nice, new spin on oud (and was much nicer than the other exclusive scent, Vanille Charnelle). The Arquiste also sounds nice, as does the Lutens, but at those prices, the latter does not interest me one bit. Nor do the other “Section d’Or” range of scents; I’m frankly tired of this hyperinflated luxury nonsense. Thanks for the reviews, and enjoy the remainder of your stay in Paris! I guess Kmart played a memorable role in my childhood! I know what you mean about those prices. Ouch. I thought the oud wasn’t on the market yet–did you smell a preview bottle? The Arquiste is probably the best deal, but still not chicken feed. Thanks for your wishes on my trip! Angela, since someone else brought up the Charlie review, I hope you don’t mind me commenting now. That paragraph with the june bugs and Kmart is so heartfelt and sincere it made me cry literally. The imagery was brilliant. I am fairly new here. After reading that review I couldn’t stay away. You are truly gifted. I look forward to your reviews. You are so, so kind–thank you! The review didn’t do much for Charlie, though. Someone else should write one. I wonder if they will have samples? I wouldn’t blind buy a fb of it at that price. Sears catalog played a monumental part in my adolescent past. Good question on the samples. It’s usually possible to order them, at least, from places like Luckyscent. Wait, you are in Paris right now? Shut down the computer and go take a walk! Thanks for looking after me! Don’t worry, I’ve been walking miles and miles every day. My feet are blistered, and I make it through the day by switching up shoes. I love it, though. Walking and looking and thinking are the best way to take in a city, I think. You’re in Paris – enjoy!!! It’s good to hear there’s a wonderful new SL. I wish they’d do smaller bottles of the Section d’Or collection, though. I don’t really need 50 ml of an Extrait de Parfum at $600, even if it doesn’t last forever on the skin. I hope you’ll also have a chance to sniff the new Jean Patou Vacances and report back on that one. I love the idea of having enough Vacances to spray with abandon, if it really smells as good as the original. I wonder how it compares with Diptyque Essences Incensees, which also sounds tempting. I know! They’re not giving them away, that’s for sure. I did smell the new Vacances–just once, though–and my impression was that it had more musk and orange blossom than I remembered from the 1980s version. Duchesse! I mean Duchesse de Guermantes (I think, without checking google). And in this scene, her get-up is even worse. The budget must have been mighty tight. More musk – not a good sign! Wouldn’t it be fun to dub in a comic parody of that soap opera (or fake subtitles)? I’ll have to try Vacances again to give it a fair go–but I agree with you so far. I love how you call Proust a soap opera! It totally is, though. Especially with this version. Wrote too fast – I was thinking “period soap opera” and overlooked Proust. They just have artsier soap operas. Anyway, where did you smell the Lutens? Palais Royal? Was it horribly expensive? That’s amazing! Maybe we’ll cross paths and not even know it. The Lutens is at the Bon Marché, too. I smelled it at the house of a friend who gets stuff early from perfume houses. I believe that it is definitely on the horrible side of expensive. Oooh, you reminded me why I admire Annick Goutal scents. They are often a gentle introduction to a note I think I won’t like, but those perfumes somehow make me want to smell more. Resins in Grand Amour, cacao in Eau de Charlotte, both were notes I didn’t expect to like in a fragrance – but now I think they’re wonderful. I don’t like oud as a rule, but I will make an exception for 1001 Ouds. I like the Goutal scents for that reason, too. They’re a wonderful house, I think. Seconding lillyjo’s comments on your writing. Always entertaining and informative, but the relatable childhood view is the most moving part (yet it kinda sneaks up on you). Thanks, Angela. You’re welcome! You’re very kind. Angela, I’m wondering if you have tried Oud for Love by The Different Company, and what you thought, if you did? I think it is without the objectionable aspects of oud that you mention, but then the oud may be so muffled that it is not properly an oud scent anyway! These all sound gorgeous but – pity about those stratospheric prices! No, I haven’t tried Oud for Love yet. I’ll look for it. And yes, I agree about the prices! Few ouds hold much appeal for me, but any new Goutal is worth a sniff, and this one sounds promising. I was on holiday when this review appeared and I missed it, but I’m wearing Nanban now and wanted to chime in. My first impression was a bit stronger and darker than yours, but on second and third wearings, it’s become softer (I often find that the nose adjusts and gets used to scents very quickly, making things smell more approachable). In any case, I like it a lot – it’s a gorgeous mixture of leather and spices and precious woods with some coffee and possibly a little booze? Very, very nice. It’s in fact what I wanted The Architects Club to be. Thanks for weighing in! I agree: Nanban has a heck of a lot going on in it, but the overall feeling is warm–and, to me, ultimately, cozy, even!